BNegão & Seletores de Freqüência come from Rio de Janeiro, Brazil with a mix of Hip-Hop, Regge, Dub, Jazz, Samba, Soul, Rock, Dance, Metal, Baile Funk and as a description on the artists’ myspace page reads their music is often characterized as explosive. In fact ‘explosive’ is just what I though when I first listened to their album Enxugando Gelo (‘Drying Ice’). Enxugando Gelo originally posted as a free download on Overmixer (a Brazilian collaboration between Overmundo and ccMixter) in 2003. The album soon became one of the most acclaimed Brazilian releases of the year and one of the most prominent examples of Creative Commons-licensed music in Brazil leading the band on a long tour in major capitals across S. America and Europe in 2004, 2005, and 2006. 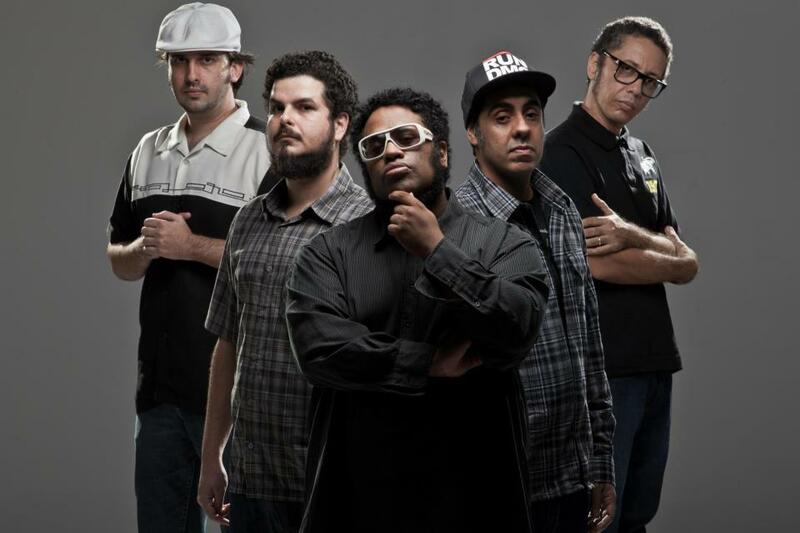 Rapper BNegão joined Seletores de Freqüência (“Frequency Selectors”, in portuguese) after leaving the Brazilian hip-hop collective Planet Hemp, where he shared lead vocals with Marcelo D2. 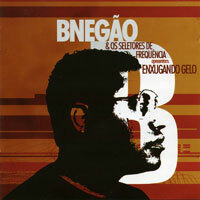 BNegão & Seletores de Freqüência, however, is mostly known for being a great lyricist. His lyrical wit can be even seen in the 2003 album with tracks such as “Nova Visão”, “Enxugando Gelo” and “A Verdadeira Dança do Patinho” for which words are set forward to criticize the Brazilian government. Seletores de Freqüência includes six members featuring Gabriel Muzak on guitar, drummer Pedro Garcia, Kalunga on bass, DJ Rodrigues, Paulo dos Santos on vocals and Pedrão on trumpet. If you would like to follow the lyrics, you can find them here.